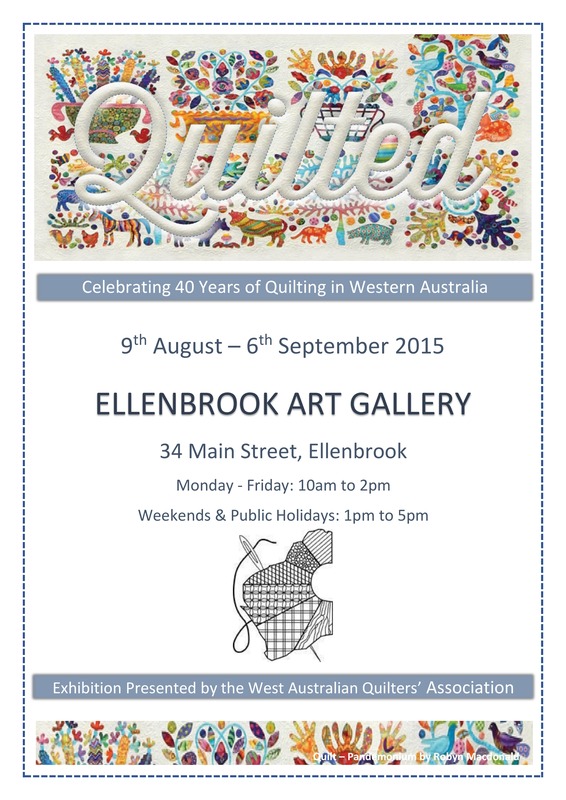 Mark your diaries for WAQA’s ‘Quilted’ Exhibition at the Ellenbrook Art gallery in August. Quilts on display will include styles and techniques which celebrate 40 years of quilting in Western Australia. This entry was posted in Exhibitions and tagged Exhibitions. Bookmark the permalink.